Graham began coming to St Herman's shortly before Great Lent. He was raised in the Reformed tradition, but in his college years, he was drawn to the Episcopal worship. He has been to parishes of the Orthodox Church before in other parts of the country. His major in college was philosophy. He likes to read and think and write. He recently moved to the Twin Cities to be near his twin sister and her husband. Through his sister, he met Justin Gronbach, who brought him to St Herman's. His sponsor is Sean Wesche. Robert Morse was baptized as an infant in the Episcopal Church. He appreciated the beauty of the ritual, but felt the biblical and theological dimension was lacking. As a youth, he joined the Baptist religion. There, he appreciated the emphasis on the bible, but missed the depth and beauty of liturgical ritual. He was also frustrated by what he felt was a lack of appreciation for the importance of the Trinity and what he felt was a rather narrow or shallow understanding of the bible. He was looking for a living faith that was grounded in the bible. He became interested in Orthodoxy after he met his future wife, Natalya. She was born and raised Russian Orthodox. They wanted to worship together as a family, so they looked for an English speaking Orthodox Church and found St Herman's. He feels that he has found in the Orthodox Church a Church that puts the liturgical ritual and the bible together. He appreciates the theological depth of Orthodoxy, the emphasis on the Holy Trinity, and the fact that in the Orthodox Church, things are done for a theological reason. He is finding in Orthodoxy a deeper understanding of the bible. Robert was received into the Orthodox Church through confession of faith and Holy Chrismation on Palm Sunday, April 20, 2008. Robert took the name, Joseph. Matthew and Becca Axvig were baptized and raised in the First Evangelical Free Church in Bismarck, North Dakota. 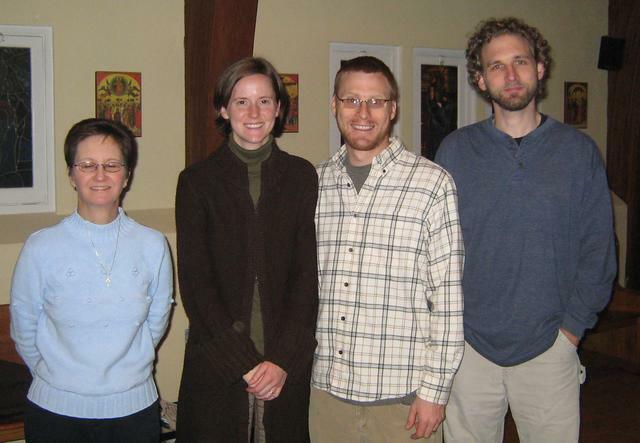 They were introduced to Orthodoxy during their two years with the Peace Corps in Moldova. 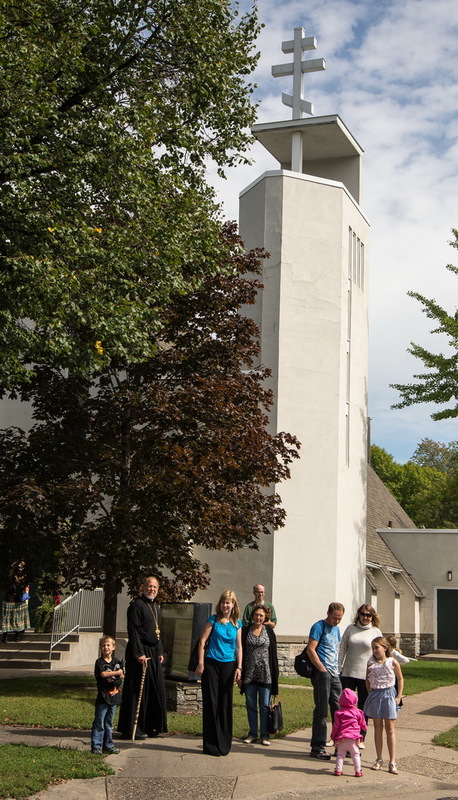 When they moved to South Minneapolis, they wanted to find a church in the neighborhood where they could worship. They visited different churches, and then came to St Herman's. They were moved by the reverence and rich beauty of the worship. Matthew called it "sublime". They were taken by the sense of being surrounded by the heavenly Presence of a Something larger than themselves. In their religious journey, they were seeking a more sacramental understanding of worship, and especially of the Eucharist. They are drawn to the joy of the Eucharist in Orthodox worship, when the faithful do more than talk about Christ; they actually partake of Christ. They feel that they have found in the Orthodox Church the Great Physician whose medicine, given in the sacramental worship, the dogmas and ascetic disciplines of the Church, can nurse us back to our full humanity. Mathhew and Becca were received into the Orthodox Church through confession of faith and Holy Chrismation on Lazarus Saturday, April 19, 2008. Matthew took the name Bartholomew. Becca took the name Martha. Brad Kampf, an educator and musician, describes finding orthodoxy as the culmination of a long quest for truth and authority within Christianity. He was raised as a Lutheran, but had gravitated toward evangelical groups in college. Yet after visiting a variety of evangelical communities, he was left unsettled by the disunity and the seemingly arbitrary divisions of protestant sects. Each group argued for its unique and exclusive vision of Christianity, but all of these arguments seemed to rest on how the founders of that denomination interpreted scripture. Brad remembers learning that there were approximately 30,000 different churches within Christianity, and felt overwhelmed by this fragmentation of the message of Christ. “Why isn’t there one place for Christians to go for a definitive answer?” about questions of doctrine and interpretation. Brad was appreciative of the honesty and earnestness of the Evangelicals he knew, but he began expressing his frustrations with a close friend and together they started seeking out the most authentic tradition of Christianity that they could find. The first place that Brad considered was the Roman Catholic Church, and he became involved in catechism classes. Yet he found himself hesitating to move forward in conversion process as fast as was expected. At one point, he had to tell his hosts that he was really more interested in gathering information than in pursuing membership in the RCC. During this time, Brad and his friend continued to discuss what they felt was missing from their spiritual experiences in various congregations. 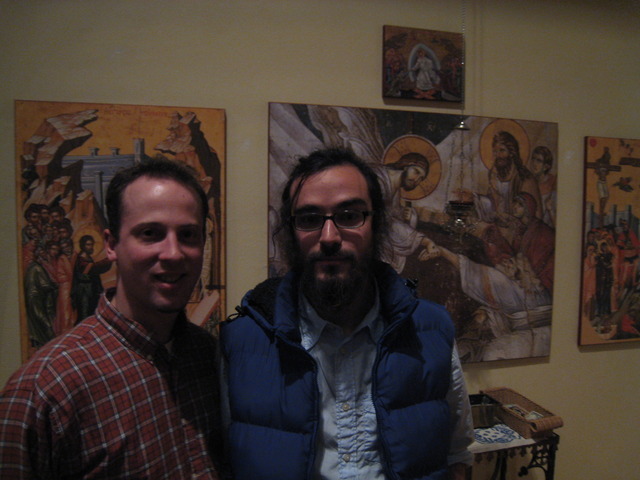 The topic of Eastern Orthodoxy had arisen in their conversation, and Brad’s friend mentioned casually that he had looked up Orthodox churches in the region and that one was located near Brad’s home in South Minneapolis. This church, as it happens, was St. Herman’s. When Brad visited St. Herman’s church for the first time, during a vespers service, he was struck as many report, by the sensory beauty of the service. Coming from a background where church services were intentionally kept stark and unadorned, Brad had often wondered why as simple an aesthetic touch as a candle was frowned upon in Protestant services. But in orthodoxy, the memorable elements of the church setting and services were the icons, the lighting, the incense, the vestments, and for a musician perhaps most surprising of all, the unaccompanied choir. This emotional response was accentuated by the attitude of the parishioners, in particular the children. “I watched the kids and noticed how natural they were”. At this service, several young girls were reading aloud, and they lacked the performing quality that children so often develop in church settings. The other children during the services were moving around and even playing unobtrusively during the service, yet they were participating in it. Their worship was simply the kind of worship that is natural for children. 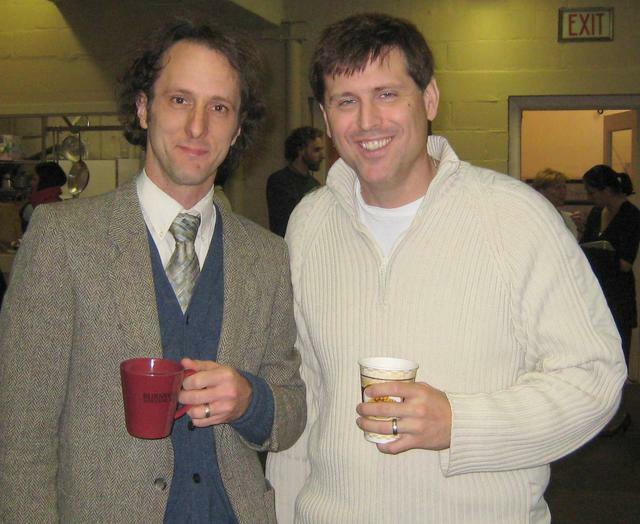 After attending several vespers services Brad began coming to the Liturgy of Sundays, but only every other week, because he was leading the music services at a small evangelical church. During this time the juxtaposition of the two approaches was illuminating for Brad and he was feeling further drawn toward Orthodoxy, though he was still obliged by his commitments to the other church. Although he seldom gives much attention to his dreams, during this period Brad had a telling dream about walking through a church he attended in his youth, going into the sanctuary and finding a door in back that had been unnoticed or hidden. “Through this door was an impossibly beautiful church.” The emotional intensity of this dream stayed with him. Darren was baptized when he was 12. He was raised in South Carolina. His family life was religious, shaped by the Protestant religion. 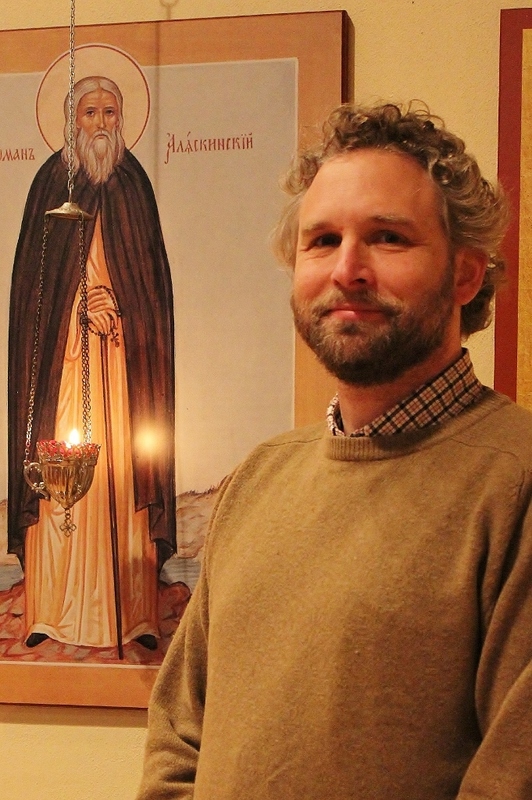 Darren was in spiritual need when he found the Orthodox Christian Faith on the web. He found St Herman’s and came to the Divine Liturgy on a Sunday morning. He felt awe and reverence; that he was in a very holy place. For the first time, he felt a deep healing and that the Holy Spirit was touching him and drawing him into the Presence at the center of the divine worship. He didn’t want the Divine Liturgy to end; he felt it could have gone on forever. 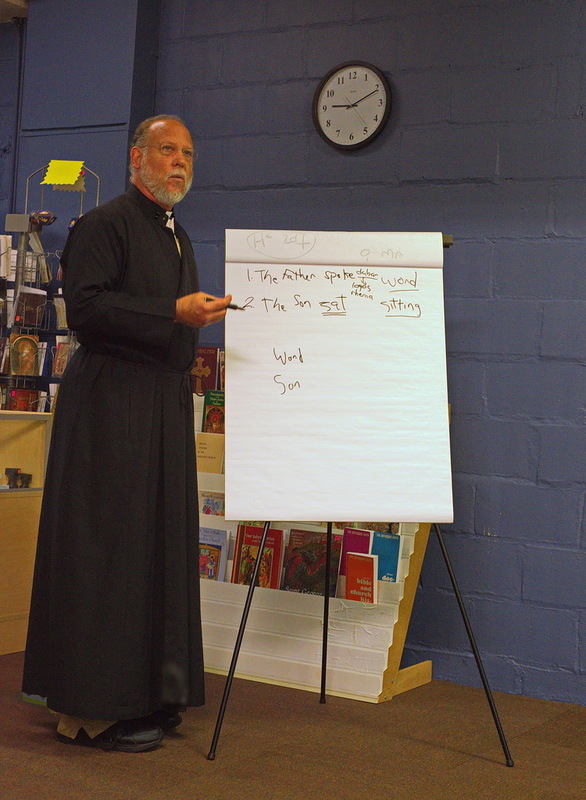 He loves the ascetic discipline of the Church and how she teaches you on discipleship. Her doctrinal teaching has the feel of undiluted, unperverted truth in its fullness and simplicity. Jessica, Darren’s wife, was received into the catechumenate two weeks after Darren was received. Jessica was baptized as an infant in the Baptist religion. Her father was religious; but her parents divorced when she was 7. Her mother remarried a man who was “atheist”. From the age of 7 to adult age, she was raised in an atheistic environment. Periodic visits to her father’s home may have planted the seeds of religious awareness in her soul – but, she also does not discount the seed of the Holy Spirit planted in her soul at her baptism. Even in the atheistic environment of her childhood home, she had an intuitive sense that there was something larger than herself. She became serious about religion when she and Darren married. They had many discussions on the bible. Jessica loves to sing. She prays through singing – and so, of course, she was drawn to Orthodoxy because the divine worship of the Church is always singing as it prays; and, at St Herman’s everyone sings, so Jessica felt that she was really entering into the worship and participating in it, not just ‘spectating’. But even more than the singing, she was struck by the humility of the worship. Her first Sunday was the Sunday of the Feast of the Elevation of the Cross. She was moved by the faithful prostrating in humility before the Cross of Christ. To her, it all felt right. Darren was received into the Orthodox Church through Holy Baptism and Holy Chrismation on the Sunday of the Cross, the Third Sunday of Great Lent, March 30, 2008. Jessica was received through confession of faith and Holy Chrismation on the same day. Darren took the name, Theophan. Jessica took the name, Theodora. Phyllis was introduced to Orthodoxy many years ago, but did not have the chance to pursue it until recently. 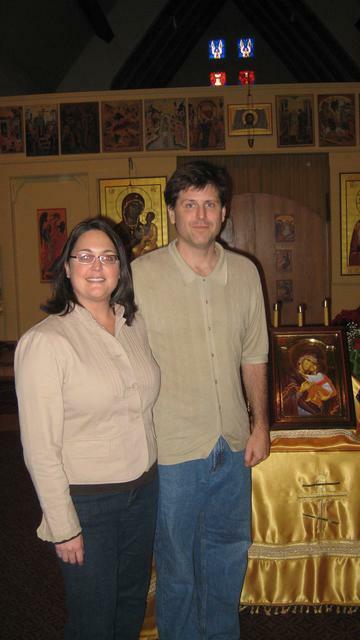 She first visited St George Antiochian Orthodox Church in West St Paul. When the pastor there, Fr Tom, learned where Phyllis lived, he recommended St Herman's to her because it was much closer. Phyllis always had the conviction that worship should be reverent and beautiful and sacred. When she encountered Orthodox worship, she was convinced that this is how worship should be. She loves the beauty, the richness and the fullness of Orthodox worship and the fullness and substantial quality of Orthodox doctrine. In the Orthodox worship, she feels complete, that there is nothing missing. 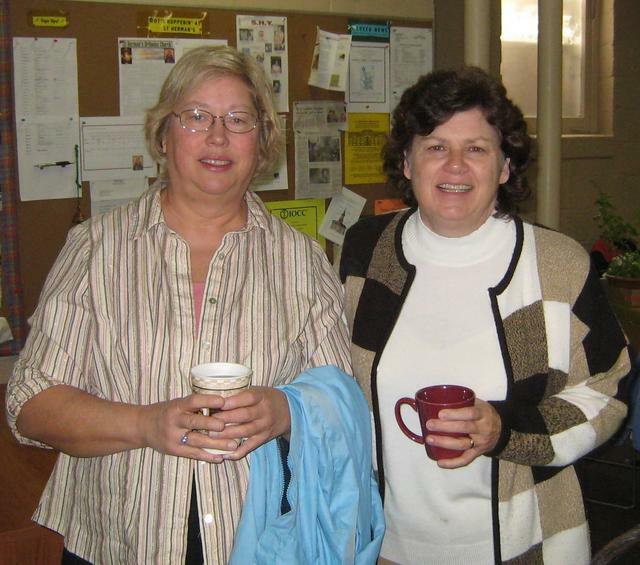 Phyllis was received into the Orthodox Church through confession of faith and Holy Chrismation on Palm Sunday, April 20, 2008. She took the name, Marina. 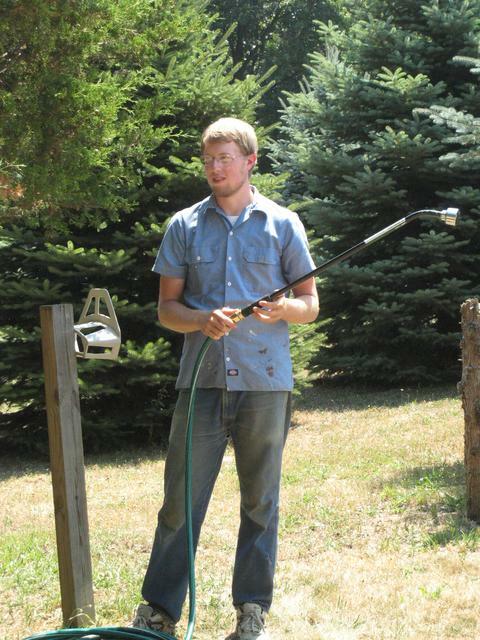 Jonathan graduated from Gustavus Adolphus College in St Peter, MN, with a major in philosophy. What has resonated most with Jonathan is the wisdom of Orthodoxy. Her teaching has the feel of the holy; it is not the product of human opinion and it is therefore something to which one can submit with confidence and in humility. One doesn't have to figure things out, as it were. One just listens and absorbs.